The 85-year-old Ford costs just $250,000. When has an engine swap gone too far? 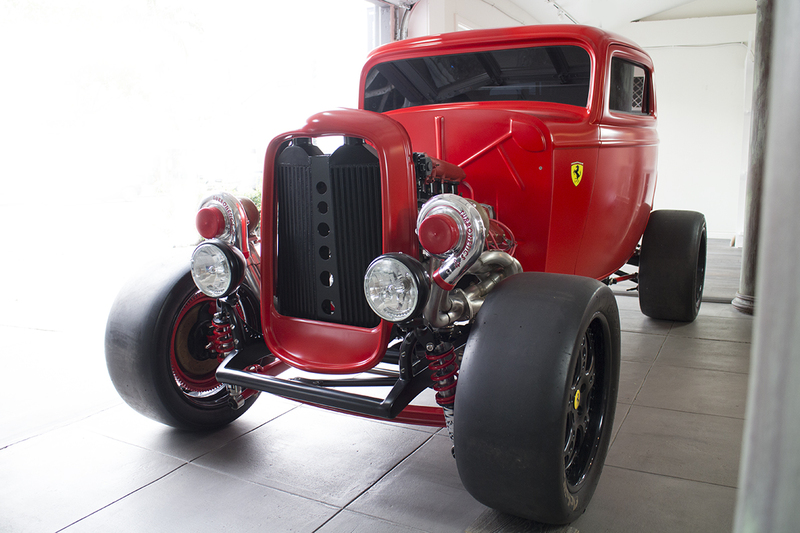 This 1932 Ford with a 950 horsepower Ferrari V-8 on MP Classics World may have taken home that trophy. That's right, the "Fordrrari" started life as a 3-window 1932 Ford, which designer Alan Lee gutted, leaving only the fiberglass chassis. 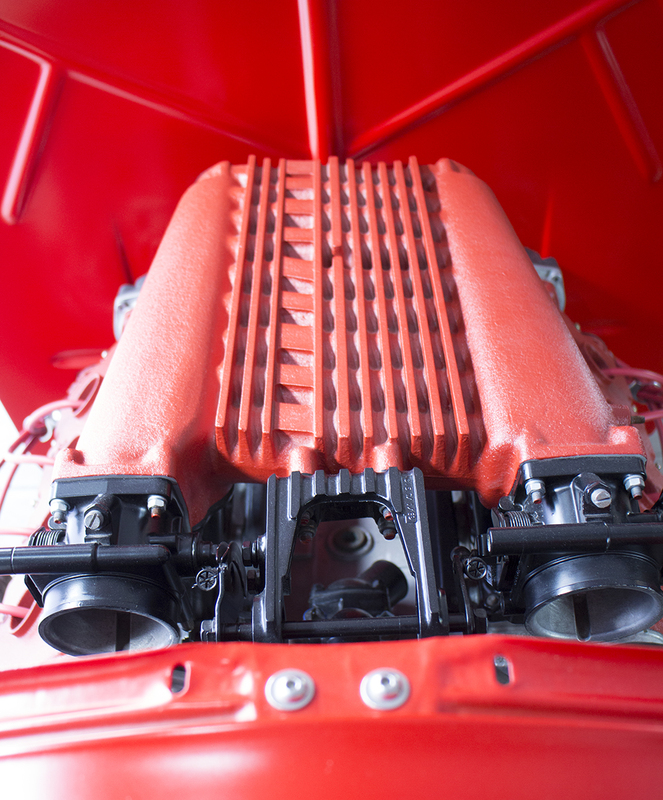 It was then painted Vintage Flatz satin red and given a 2.9-liter Tipo F105-liter V-8 from a 1989 Ferrari. 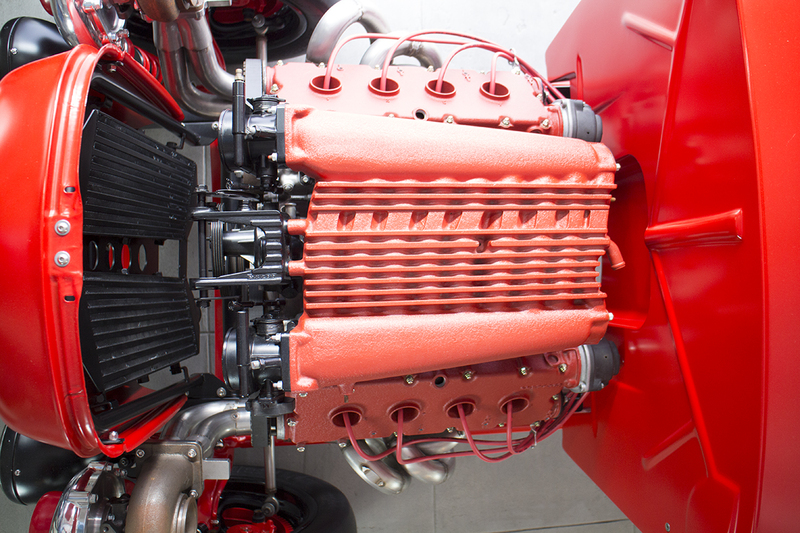 A pair of Turbonetics turbochargers bumped the engine up to an eye-watering 950 hp, which now revs to 8500 rpm. The non-running project made its debut at SEMA 2015, where it was a resounding success despite not actually working. The Fordrrari was completed in 2016, receiving an arsenal of modern performance parts like racing disc brakes with four-piston calipers, AEM infinity engine computer, independent rear suspension, and power windows. It rides on KW suspension racing shocks and 18-inch wheels custom-built by Lee. Open the pop-up doors and you'll be greeted by a modern racing cockpit complete with digital gauges, full roll cage, racing harness-equipped bucket seats, and a 6-speed manual transmission with a racing clutch. 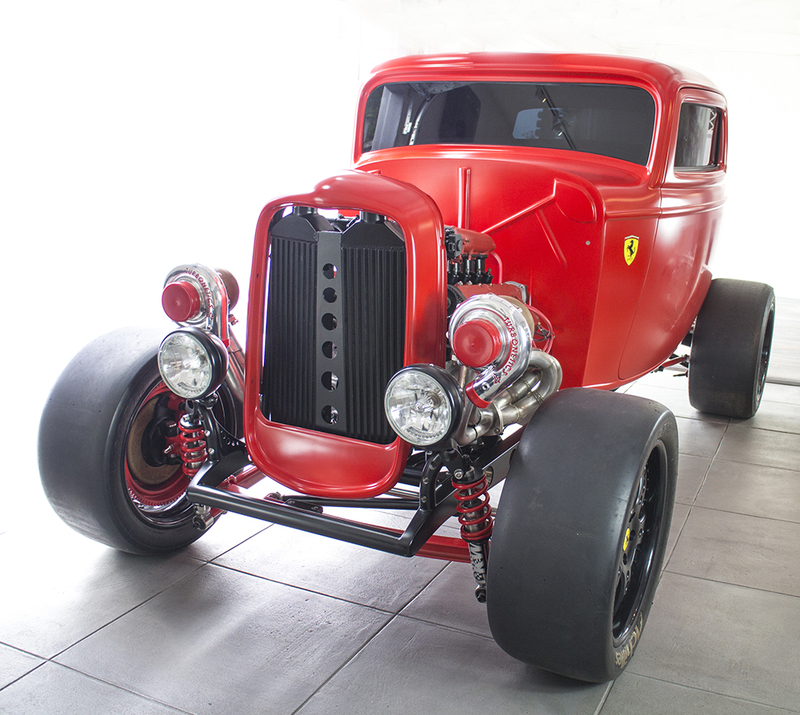 It's currently for sale in Los Angeles, California for $250,000, so you'll still need to pay the Ferrari price for this old Ford. What makes this hot rod so amusing isn't just its ridiculous power output and price tag, but the two manufacturers that have been mated together to create the monstrosity. The Ford-Ferrari feud runs deep, so combining the two might make this the most ironic vehicle ever created—aside from something like a Hellcat-swapped Prius, but who would build such a thing?